This volume provides readers with a wide collection of the latest and readily reproducible technical protocols available in the field of non-viral gene delivery vectors. The chapters in this book are organized into three major parts: Part I is a section on conventional bolus gene delivery vectors that introduces typical transfection approaches relying on the addition of transfectants to the cell culture medium where the cells are grown in; Part II covers stimuli-responsive bolus transfectants and topics on gene delivery complexes made of smart polymers or stimuli-responsive polymers that change according to the environment they are in and delivered by dripping into cells; Part III discusses examples of substrate-mediated gene delivery-also termed reverse transfection-and the immobilization of a gene delivery vector onto a surface as opposed to more typical bolus delivery from the medium. Written in the highly successful Methods in Molecular Biology series format, chapters include introductions to their respective topics, lists of the necessary materials and reagents, step-by-step, readily reproducible laboratory protocols, and tips on troubleshooting and avoiding known pitfalls. 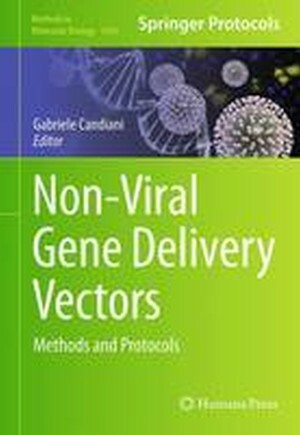 Cutting-edge and practical, Non-Viral Gene Delivery Vectors: Methods and Protocols is written for experimentalists, and is an essential part of many laboratory bookshelves. This book will help novice and professionals alike succeed in their research in this field.